A burst pipe, triggered sprinkler system, or overflowing toilet* can be a massive headache for any property manager. But any amount of unwanted water is an inconvenience and a nuisance to clean up. The trained professionals at Spectrum can help manage the situation efficiently. Shut down the water and reduce potential damage. Install fans to dry your facility as quickly as possible. Determine the cause of the flood. Assess damage and remediation requirements. Control odours and sanitize affected areas. Take preventative steps to avoid mould growth. 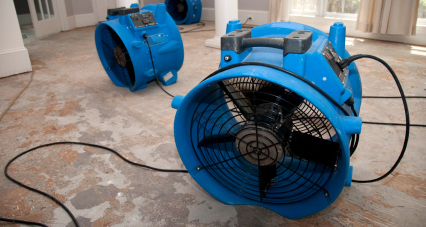 We’ll create a detailed report of all areas affected by water damage, and our trained Xactimate specialists will prepare a repair estimate in compliance with major insurance company guidelines. Our dedicated team understands it’s essential to return everything to a normal state as quickly as possible!